As trusted partners, NGOs have supported global and national NTD programmes in unique, often catalysing ways: ensuring national ownership of programmes, building technical capacity, undertaking research to provide the evidence for effective, scalable programme delivery and, most importantly in terms of achieving the SDGs, connecting some of the hardest-to-reach communities with formal health systems. The NTD NGO Network (NNN), representing nearly 80 organizations, is a partner of national programmes in 100 NTD-endemic countries and manages more than US$ 500 million in investments for a world free of NTDs. It provides a global forum for NGOs that are contributing to the control, elimination and management of these diseases according to the internationally agreed WHO NTD roadmap. The NTD NGO Network represents nearly 80 organizations, is a partner of national programmes in more than 100 countries and invests more than US$ 500 million in grant funding and private investments to fight NTDs. The momentum of the SDGs has driven further evolution of how the NTD sector thinks, talks and gets down to business. The BEST framework, launched by the NNN in 2016 as a platform for action and engagement, was developed to support the SDG goals of reaching the hardest to reach and ensuring that no one is left behind. 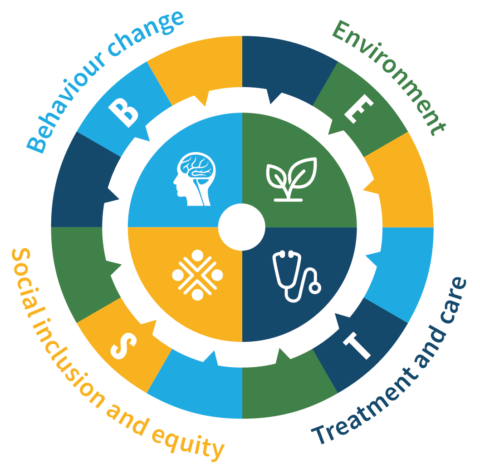 Developed with widespread consultation, the BEST framework provides a platform for accountability and cross-sectoral action by the NTD community in respect of behaviour, the environment, social inclusion, equity, treatment and care to drive progress in achieving national and global NTD targets. BEST recognizes that action to combat NTDs is situated within the wider context of the environment and the economic and social dimensions of sustainable development. It unites the diverse cross-sectoral efforts required to attain the targets for the control and elimination of NTDs. It sets out the NTD community’s commitment to forge new partnerships and collaboration among sectors to enhance the impact of the unparalleled scaling-up of donated medicines, to strengthen systems and services for the hardest-to-reach communities and to realize the long-term impact of investments in therapeutic coverage. Within the BEST framework, members of the Network plan to establish new working groups to complement existing collaborations for water, sanitation and hygiene (WASH) and disability management; they will focus on integrated vector control and skin-related NTDs. Many endemic countries have realigned their national development plans to the SDGs. Because of their clear links to ending marginalization and underdevelopment, advances in controlling NTDs have been recognized as potential tracer indicators of progress in equity, UHC and other areas, such as WASH. These provide opportunities to engage in and advocate for better policy frameworks for tackling NTDs and for greater domestic and international investment. The BEST framework provides a platform for engagement and embeds NTD elimination in national development and progress towards UHC. Article first published in the Uniting to Combat NTD's London Declaration fifth progress report. Read the full report here.